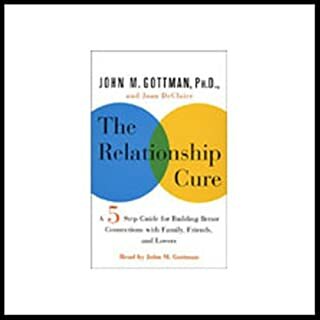 A five-step guide for building better connections with family, friends, and lovers, The Relationship Cure offers a simple but profound program that will fundamentally transform the quality of all the relationships in your life. 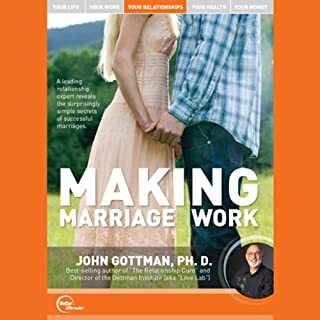 Dr. John Gottman has revolutionized the study of marriage. He uses rigorous scientific procedures to observe the habits of married couples in detail over many years for unprecedented insight into the inner workings of successful relationships. Here is the culmination of his life's work: the seven principles that guide couples on the path toward a harmonious and long-lasting relationship. The Man's Guide to Women offers the science-based answers to the question: What do women really want in men? The book explains the hallmarks of manhood that most women find attractive and helps men hone those skills to be the men women desire. PLEASE NOTE: This is a key takeaways and analysis of the book and NOT the original book. 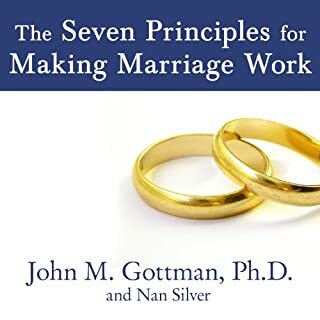 Start Publishing Notes' Summary, Analysis, and Review of John M. Gottman and Nan Silver's The Seven Principles for Making Marriage Work: A Practical Guide from the Country's Foremost Relationship Expert includes a summary of the book, review, analysis and key takeaways, and detailed "About the Author" section. Don't become a statistic! You can save your marriage! You can make love last forever and reclaim the lost passion without even talking about your relationship. Get the love you want and keep the love you have, starting now. This is where your marriage recovery journey begins. Drs. Cloud and Townsend help you understand the friction points and even the serious hurts in your marriage - and move beyond them to mutual care, respect, affirmation, and intimacy. 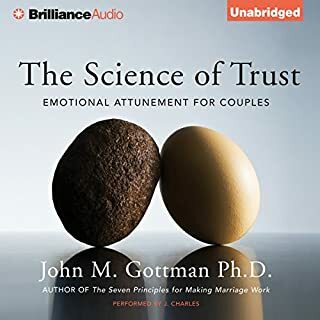 Dr. Gottman tells you how to recognize attitudes that doom a marriage - contempt, criticism, defensiveness, and stonewalling - and provides practical exercises, quizzes, tips, and techniques that will help you understand and make the most of your relationship. You can avoid patterns that lead to divorce, and Why Marriages Succeed or Fail will show you how. If you could sum up Why Marriages Succeed or Fail in three words, what would they be? What about Paul Costanzo’s performance did you like? His voice is very relatable. 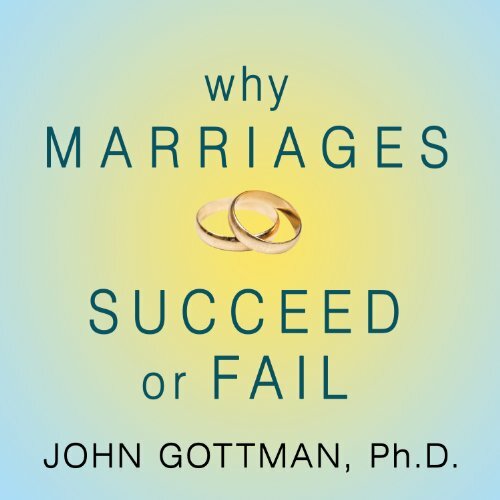 What did you learn from Why Marriages Succeed or Fail that you would use in your daily life? Pretty much everything. The book highlights very common logic errors and character flaws that can wreak havoc on personal relationships. It also assured me that having the specific personality that I do isn't indicative that my personal relationships are doomed forever. Learning to let go of things that don't matter much and how to communicate which things are not negotiable... how mature of me! This book requires a healthy degree of objectivity and self-reflection. Like all self-help type books, it won't change your life. But you will if you decide to internalize any of the sage advice it gives. Because this book is backed up with scientific evidence, it gives me great confidence in the information it provides. Not only does it provide solid techniques and advise, but it also gives extensive examples of the techniques and advice. I will read this again, and would recommend it to anybody. 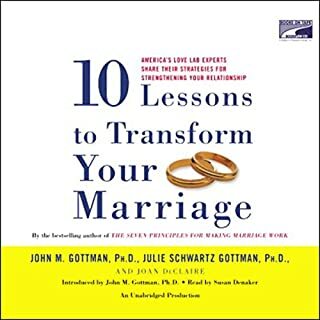 Dr Gottman is wonderful about putting everyday trials of marriage into manageable struggles. If you fight with your spouse constantly, read this book. If you feel your spouse does not understand you, read this book. Don't wait till the divorce lawyers are in the picture to look for help! This book is particularly useful because the underlying research is empirical rather than purely theoretical. Highly recommend. Anyone remotely considering getting married should read this book. I wish I had read it years ago. The narrator was very monotonous and so it was hard to listen to sometimes. Overall the information was helpful. I have learned valuable information and gained so much understanding from this book. Puzzles I have had for years have come to form a more complete picture. I can see in what way I caused so much stress to my exhusband now with my naturally volitile communication style. And I can now look for a man with a similar conflict resolution style with whom to enjoy lively, analytical discussions! Hoorah! I'm not an angry or disrespectful person just because I don't shy away from disagreements. It's just a different style that not everyone likes in a spouse but some, like me, really do. Through this book, this abstract thought of wanting someone more like me has focused and solidified into a concrete concept with easily understood terms. Yay! I'm not a negative, critical, or judgemental person just because I voice to my complaints and love to sometimes take meaning apart to discover what makes it tick. Fighting is not wrong. It's apart of life. Let's just keep it in the ring and above the belt. I totally ate up the concepts in this book on how to not fight dirty. The 4 horsemen are easy to remember and I'm excited to watch my interactions more closely more to make sure they don't creep in. This book is so inspirational. I love that he drew his conclusions from years of experiments rather than just observations with clients. And that he still brought specific examples up for readers to see more clearly what he was explaining. struggling in my marriage, wishing for nothing more than my wife to look at me the way she used to, this book has provided me with perspective that I wished I had all my life. I'm hopeful that I can use some of this to help salvage my relationship. please read before you are in my shoes. This is a great resource of information for marital couples. I will read again and pass it on to others. 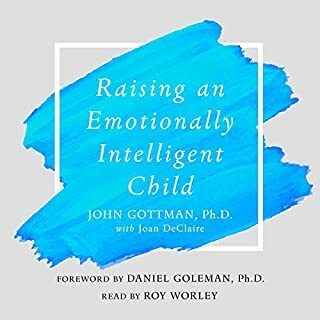 John Hoffman gives real life applicable strategies off his research. I've known and studied him in the past. But now I'm my good relationship that has normal challenges I have coping mechanisms I didn't have prior. I recommend this!